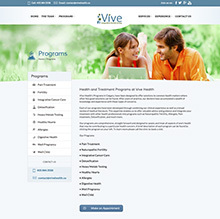 Vive Health helps you feel BETTER, think CLEARER, perform STRONGER and live LONGER. 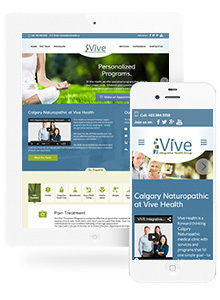 Vive Health is a forward thinking Calgary Naturopathic medical clinic with services and programs that fill one simple goal – to help you get better and stay better! 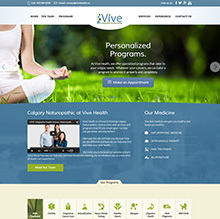 Custom Wordpress build clearly defined by the UCD process tied into a strong digital marketing campaign to drive qualified leads to the website. 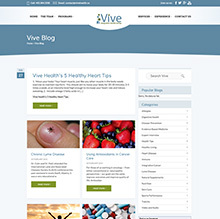 Content managment system to make updates to website with ease. Clear calls to action and informative inforamtion. 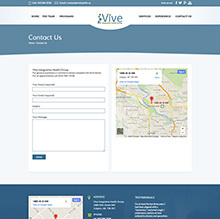 Responsive website renders pixel perfect accross all devices.